Amitabh Bachchan shares a very special rapport with Ajay Devgn. Ajay’s father, the famed stunt co-ordinator Veeru Devgn, is a friend of Mr Bachchan. And the friendship continues with the next generation with Ajay and Abhishek Bachchan sharing very warm vibes. Hence when Ajay requested the Senior Bachchan to make a very special appearance in Helicopter Eela, the film starring Ajay Devgn’s wife Kajol that Ajay has produced, Mr Bachchan readily agreed. There’s no question of any money exchanging hands. 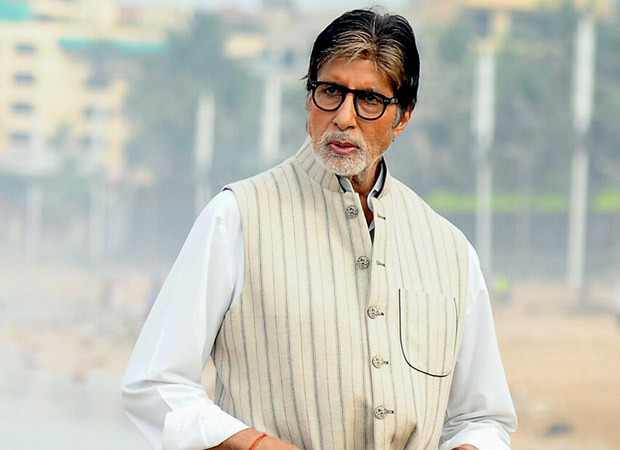 Mr Bachchan has appeared in many films for fleeting appearances out of goodwill. In the Madhavan starrer Ramji Londonwale and in R Balki’s English Vinglish Amitabh Bachchan had appeared as himself, as too in Basu Chatterjee’s Piya Ka Ghar (which starred Mr Bachchan’s superstar wife Jaya Bhaduri) and in Dulal Guha’s Dost. But to me Mr Bachchan’s most memorable guest appearances as himself was in the Kannada film Amrithadhare. This was special, because I was instrumental in getting him to do this vital role. The film starred Ramya a.k.a Divya Sapandana who is now a spokesperson for Rahul Gandhi. Back then she was a very polite guileless wannabe actress who played the role of a terminally ill woman whose dying wish was to meet THE Amitabh Bachchan. The director Nagathihalli Chandrashekhar didn’t know how to approach Mr B. He reached out to me for help. Since the film couldn’t be made without Mr B’s vital appearance (unless they got a duplicate to stand and behave like Mr Bachchan in the crucial scene where the dying girl finally meets Mr Bachchan) and since they had heard of my closeness to him, they made this one last attempt. Considering the urgency of the situation this was the only time I asked Mr B for a favour. He immediately agreed. On the appointed day, the crew of Amrithadhare landed in Mumbai to shoot the required sequence. Mr B arrived at the exact time and shot the scene. He took pictures with the awestruck crew and was about to leave when the nervous director came forward with a gift. “Sir, you have been generous and refused to accept any money. We have this small token of appreciation and gratitude,” the director mumbled. But Mr Bachchan refused to take the gift (an expensive pen) saying, “Subhash won’t like it if I accept anything for the role.” No amount of coaxing and cajoling could convince Mr B to the contrary. Finally I got a phone call from the frantic director asking me to request the Icon to accept the gift. Only then did Mr B oblige. Such is the greatness and generosity of this Mega-star. I later asked him why he was so reluctant to accept the gift from the grateful director and he had replied. “Won’t accept any remuneration means won’t accept anything. You told me the film needed my presence. That was it.” Cut to many decades later when Dibakar Bannerjee needed Ranbir Kapoor to appear as himself in Bombay Talkies. Many foiled attempts get the actor, and Dibakar finally had to use a double. There is a lesson to be had from the above incident on why there will never be another Amitabh Bachchan ever again. Also Read: SCOOP: Aamir Khan and Amitabh Bachchan’s BIG WAR over death scene in THUGS OF HINDOSTAN?